In the nation’s leading pork producing state, it isn’t a surprise that the Iowa Pork Congress is one of the best-attended meetings and trade shows. Today, more than 5,000 farmers, veterinarians, researchers and industry professionals will come together in Des Moines for training, networking and policy setting. The 6,000 pig farms in Iowa are the foundation of an economic engine fueled by support businesses that line rural main streets and populate innovation centers and businesses parks across the state. 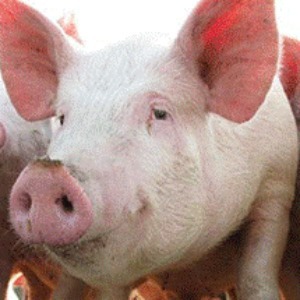 In fact, one out of every 12 Iowa jobs is supported by the pork industry. The Iowa Pork Congress trade show will feature more than 300 companies that provide every aspect of service for pig farmers from building manufacturing and engineering to feed and nutrition, and from environmental management, animal health and genetics to financial, marketing and HR services. The continued success of Iowa’s pig farmers and pork industry depends on new technologies developed by these companies and start-ups that will help farmers raise healthier, more productive pigs in more sustainable ways. As the premier region for ag bioscience research, development and entrepreneurship, America’s Cultivation Corridor is the perfect place for innovative thinkers to develop, test and commercialize those new technologies. Companies like FarrPro and Krobel Corp started with novel ideas to improve pig health and are tapping into Iowa’s thriving start-up ecosystem to bring their technologies to reality. Both have been participants in the Iowa AgriTech Accelerator, which is just one of several successful programs to support and develop start-up businesses throughout the state. Iowa City-based FarrPro has developed a micro-climate heating system for pigs that evenly distributes heat to piglets in a farrowing barn, addressing issues that have challenged pig farmers for decades. Because piglets are born without temperature regulation abilities, they rely on their mother’s milk to keep warm and need temperatures of 90-95 degrees F to be comfortable, but those temperatures can trigger health issues for sows. FarrPro’s “Haven” system provides heat energy that warms piglets in a way that is 80% more energy efficient and reduces pig mortality from temperature issues by 40 percent, while keeping sows cool and stress free. The system was designed by a southeast Iowa native and is being marketed by a Washington County, Iowa resident. Both appreciate the impact of Iowa agriculture, and want their company to have a positive impact on rural Iowa. Krobel Corp is also working to address health concerns at farrowing time by developing a product that will measure prolonged change in a sow’s respiratory rate. The system will automatically notify the farmer to check on the sow when rates are out of normal ranges, which could help provide a timely human touch to help out during farrowing to benefit the health of both piglets and sows. While the system is still in development as it seeks even more funding, it points to the ingenuity of young Iowans to address real on-farm challenges for today’s pig farmers. Iowa’s thriving pork industry is inspiring start-up companies and long-term industry players alike to bring their new ideas to grow in Iowa. I’m looking forward to hearing from many of these leaders at the Iowa Pork Congress this week and working with them to build opportunities for farmers, communities and companies throughout the Corridor. Billi Hunt was named the Executive Director of the Cultivation Corridor in February 2018. She brings 20 years of experience in agriculture and the Iowa business community to the Corridor’s efforts to enhance agricultural sustainability and accelerate business development by attracting new companies, talent and capital to central Iowa. She works with Cultivation Corridor investors, partners and other organizations to build the Corridor brand and broaden opportunities within the region. An Iowa native, Hunt received her Bachelor of Science from Iowa State University and her Master of Public Administration from Drake University. She and her husband Mike Elam and children live in Urbandale, Iowa.